Evolutionists say any appearance of design in nature is just an illusion. But how does that stack up to reality? 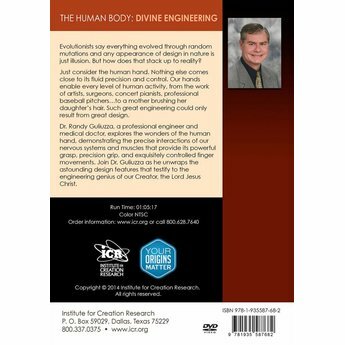 Dr. Randy Guliuzza, a professional engineer and medical doctor, explores the wonders of the human body and its astounding design features. 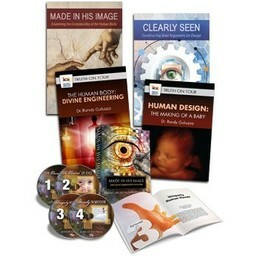 If you prefer, this resource, The Human Body: Divine Engineering, is also available in digital form and can be downloaded now. Dr. Guliuzza has the heart of a pastor and the skill of an educator. 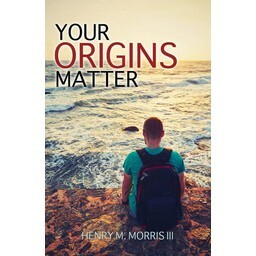 I have been thoroughly blessed by the Truth on Tour series and appreciate being able to view these talks and receive the benefit of the information presented at the conferences even though I was unable to attend them. After viewing this material how could you not glorify God for being The Amazing Creator?